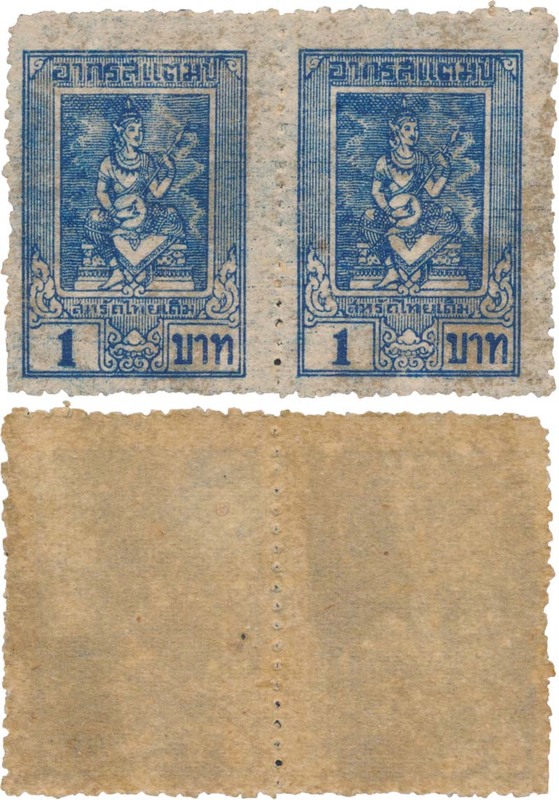 "Revenue - 1943-45 “Saharat Thai Derm - Chiang Tung” horizontal pair of 1b. blue unused, locally printed quality on gum paper, key value of the 4 issued values thus extremely rare. F.(2) Note: In May 1942 Thai annexed part of Burma(British control) Chiang Tung and Pan to be part of Saharat Thai Derm 1942-1946, after WWII the territory was returned to Burma with British rule. No postage stamps were issued. 4 values of Revenue was issued 5st., 10st., 25st. & 1b.. "